Participating artists include: Leanne McClurg Cambric, Giselle Hicks, Candice Methe, and Holly Walker. Raised in Anchorage, Alaska, Leanne McClurg Cambric received a B.F.A. from the University of Minnesota-Twin Cities in 1997. In 2002 she received her M.F.A. at Louisiana State University. She is currently Associate Professor at Governors State University located in the south Chicagoland suburbs. Originally from Southern California, Giselle Hicks received her BFA from Syracuse University and her MFA from Alfred University in New York. She has participated in various artist-in-residence programs including the Anderson Ranch Art Center, the Arts/Industry Program at the Kohler Company, The Clay Studio in Philadelphia, Greenwhich House and The Archie Bray Foundation. Her work has been exhibited at the Museum of Fine Arts in Boston, The John Michael Kohler Art Center, the Bellevue Art Museum, the Southwest School of Art, the Houston Center for Contemporary Craft, and the Milwaukee Institute of Art and Design. Giselle currently lives and works in Helena, Montana. 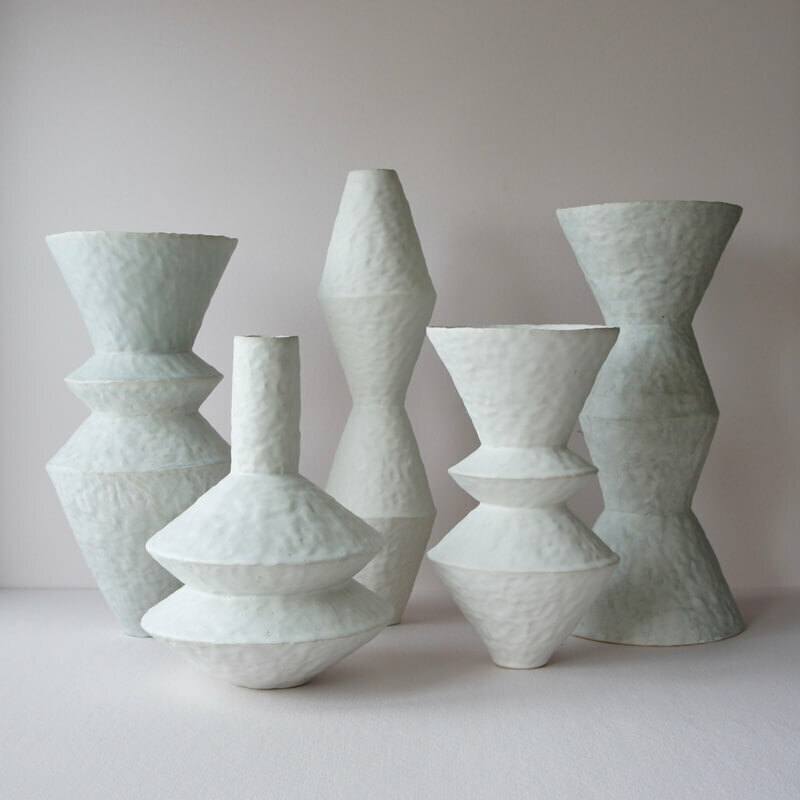 Candice Methe, originally from Falmouth, MA, has been working with clay for twenty years. Currently resides in Red Lodge, MT where she is a studio artist. She has had short-term residencies at the Archie Bray Foundation for Ceramic Arts, Helena, MT and the Red Lodge Clay Center, Red Lodge, MT. She earned her BFA from Northern Arizona University, 2011 and her MFA from University of Minnesota in 2015. In 2016 she was the recipient of the Warren MacKenzie Advancement Award where she traveled to Ghana, West Africa to learn about traditional clay practices and the painted clay houses of the North. Holly Walker has served in administrative roles as Director of Watershed Center for the Ceramic Arts (ME), Educational Outreach Director at Penland School of Crafts (NC) as well as Gallery Assistant and Archivist at Penland. Teaching venues include semester courses at Rhode Island School of Design and Nova Scotia College of Art and Design. Workshops at Haystack, Penland, and Arrowmont Schools of Craft, and lectures and workshops at numerous universities round out Walker’s occasional teaching. Walker’s work and thoughts have been widely published, most recently in “Inspired: Life in Penland’s Resident Artist and Core Fellowship Programs”, “Mastering Handbuilding” by Sunshine Cobb, and “Glaze: The Ultimate Ceramic Artist’s Guide to Glaze and Color” by Brian Taylor and Kate Doody. She is a recent recipient of a Frog Hollow /Vermont Craft Association Artisan Grant and a Vermont Arts Council Development Grant.